With this module you can go one step further because it enables you to automatically archive every paid invoice in your system, which means - no more problems because your user decided to change his or her contact information, company data or anthing else. 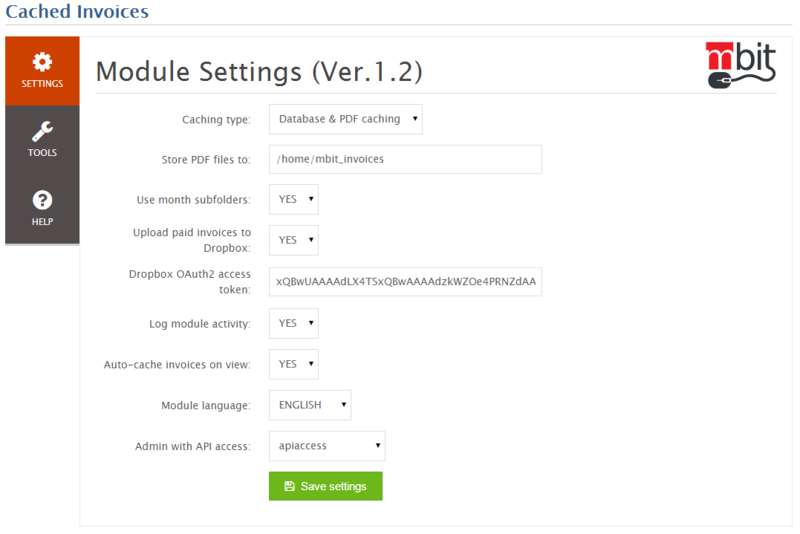 So, even if you change your PDF template or your logo, company address or anything else, your WHMCS system will always generate the same archived PDF file whether it's being emailed or downloaded from the client area. 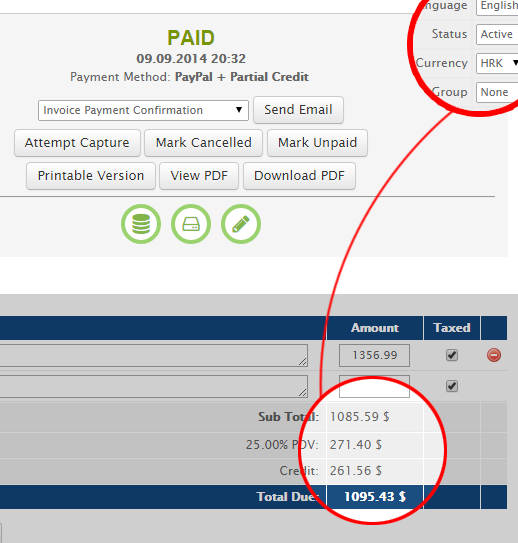 Check out M-BIT Cached Invoices. Archive your invoices, prevent invoice scams by changing user data. Do you have questions about the module? Module now enables you to automatically archive every paid invoice directly to your Dropbox account. As soon as the invoice gets paid, module saves it locally as PDF and uploads the file to your Dropbox account, thus making your life easier. Share your invoices across devices or enable your bookkeeper to access your invoices when needed. 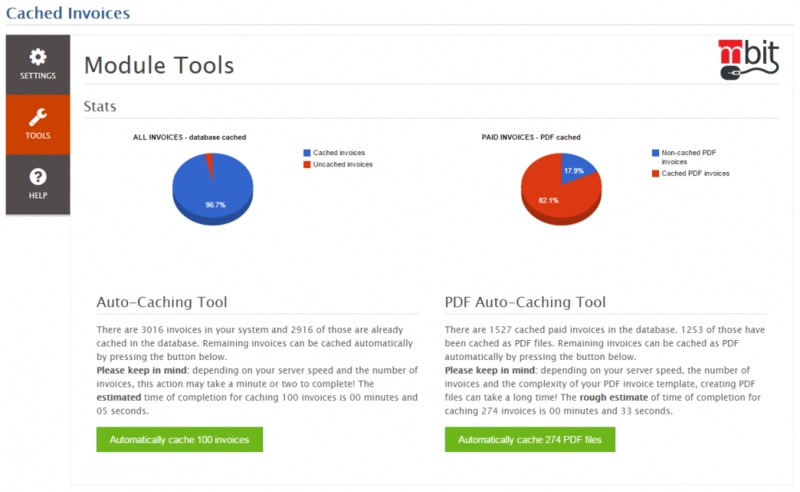 Another thing that's new is the PDF auto-caching tool which enables you to archive all your invoices as PDF files with a single click. Why do i need this and how it works? I've had some questions about the module and comments on my initial post. Apparently it wasn't clear enough, so i'll try to explain again. What this module does is quite simple to explain - it prevents bookkeeping/tax problems by permanently saving all relevant data about the invoice and the user. So, let's say you have a user with several active products and dozens of previously generated invoices. Imagine the scenario where that user of yours asks you to change his currency from, let's say dollar to euro. What this means for you is pure trouble because changing the currency for this user will change all oh his previous invoices to euro and that's a big no-no. Second scenario is quite more common - users changing their contact information. By using this module you can prevent these problems and make it easier on yourself because you'll still have the option to edit the cached invoice/user data at any given time so you don't have to create a new invoice or pay attention to users changing their information. What's quite important for those doing business in countries forcing business owners to keep their invoices intact forever, meaning you can never change any text or even the invoice design, is that this module enables you to keep your invoices really intact by automatically saving PDF nvoices to the server and even Dropbox. So, even if your users change their contact data, even if you change their currency and even if you change your PDF invoice template design/data - invoices and their PDF design will always be the same as they were on the day that invoices got paid. No matter when you look at it. Hello! Do this module also mantain the company data intact? I mean the company data that uses WHMCS? or it takes this data from the fly? I'm already using the "fixed data" module, it's similar to this one? Your company data stays intact, along with the invoice design, if you choose the PDF caching option as it allows the addon to create a PDF file locally (+ on Dropbox if you want) and serves that same PDF file whenever a PDF invoice is needed. If you choose the Database caching only, then your company data will be overwritten once you change it as it is not stored in the database. Fixed invoice data module saves the user data and it's custom fields in the database and that's it. Since you're not the first one to ask about the company data being saved along with the user data, i'll implement that option in the next release. I am interested on your module. The module saves the data for every invoice (customer data, custom fields for the invoice and the currency). 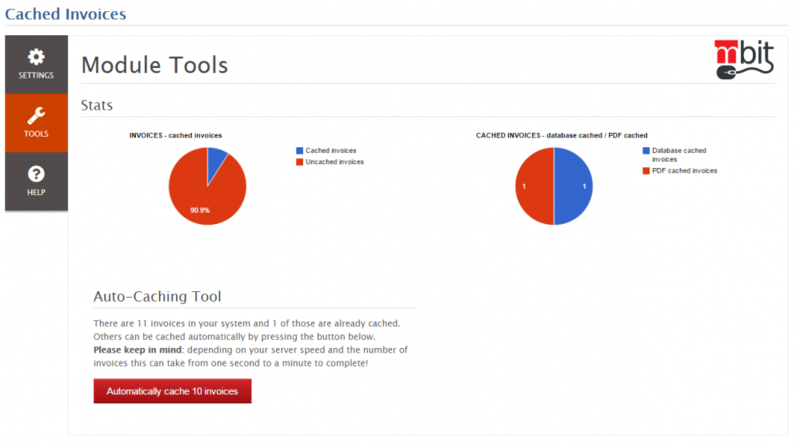 Items and prices are pulled from the database and are not cached. PDF files, if you choose to archive them, save everything, of course.